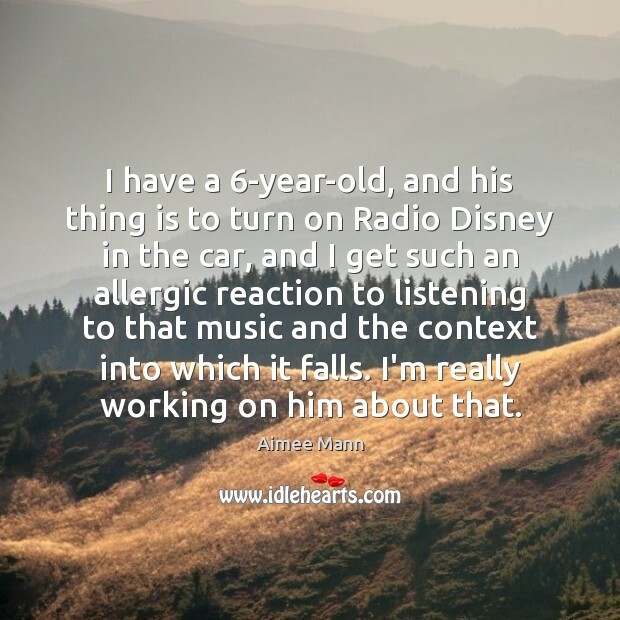 Quotations about Allergic Reactions. Quotes to stimulate mind and drive action! Use the words and quote images to feed your brain inspiring things daily! 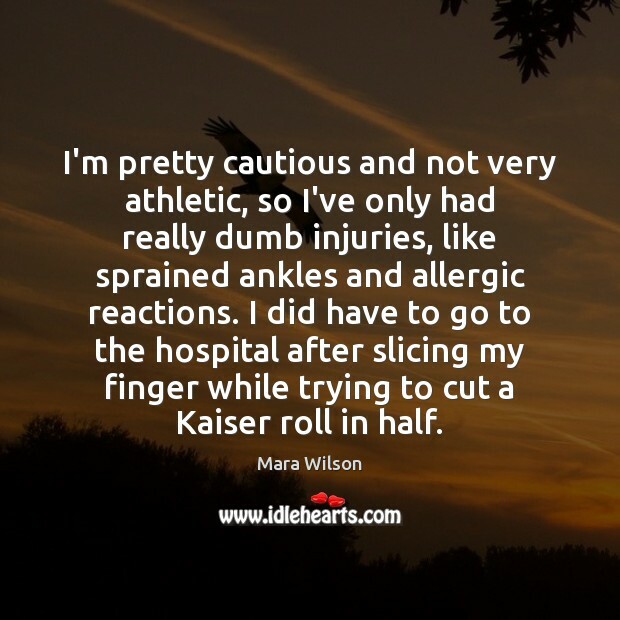 I'm pretty cautious and not very athletic, so I've only had really dumb injuries, like sprained ankles and allergic reactions. I did have to go to the hospital after slicing my finger while trying to cut a Kaiser roll in half. 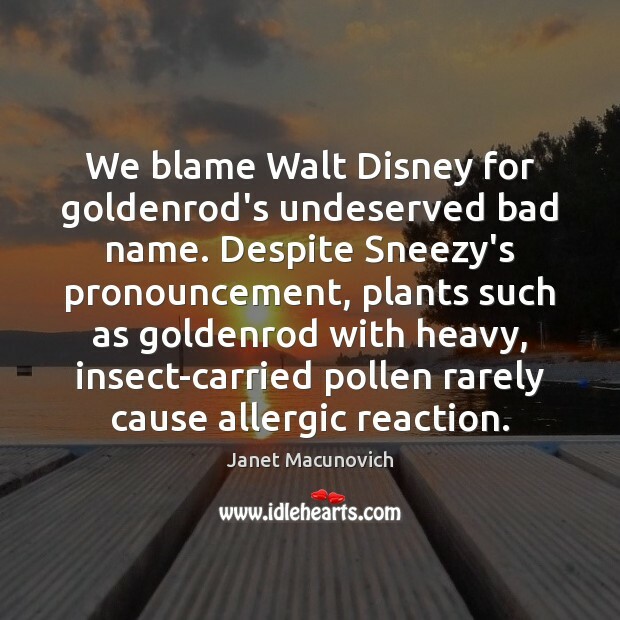 We blame Walt Disney for goldenrod's undeserved bad name. Despite Sneezy's pronouncement, plants such as goldenrod with heavy, insect-carried pollen rarely cause allergic reaction. 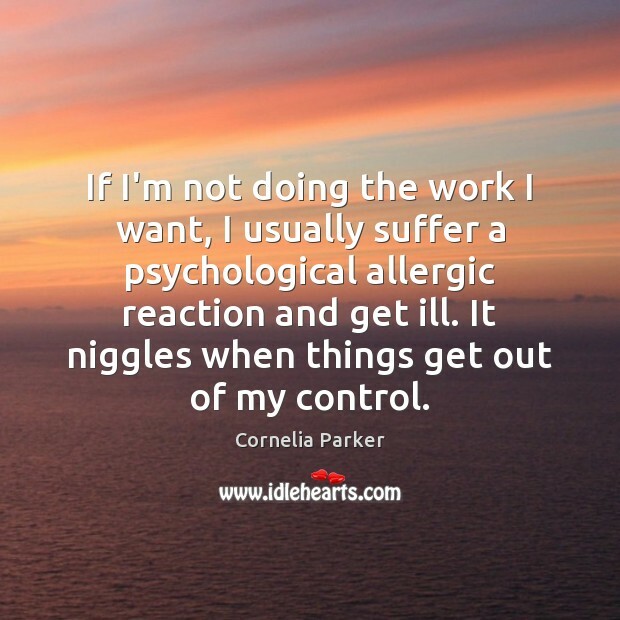 If I'm not doing the work I want, I usually suffer a psychological allergic reaction and get ill. It niggles when things get out of my control. 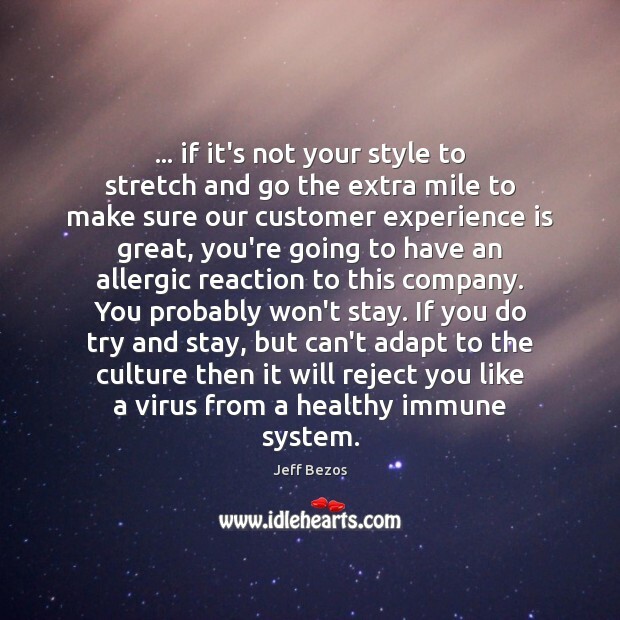 ... if it's not your style to stretch and go the extra mile to make sure our customer experience is great, you're going to have an allergic reaction to this company. You probably won't stay. If you do try and stay, but can't adapt to the culture then it will reject you like a virus from a healthy immune system. 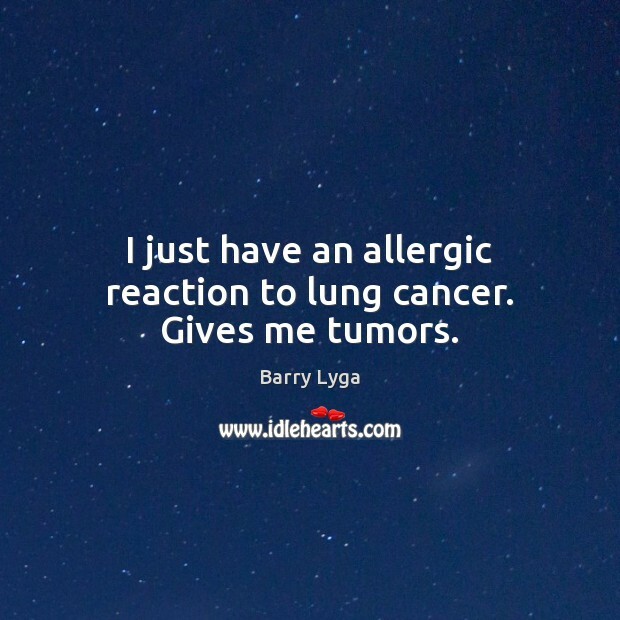 I just have an allergic reaction to lung cancer. Gives me tumors.